I know that many of you are busy preparing stock for autumn and Christmas craft fairs and shows. 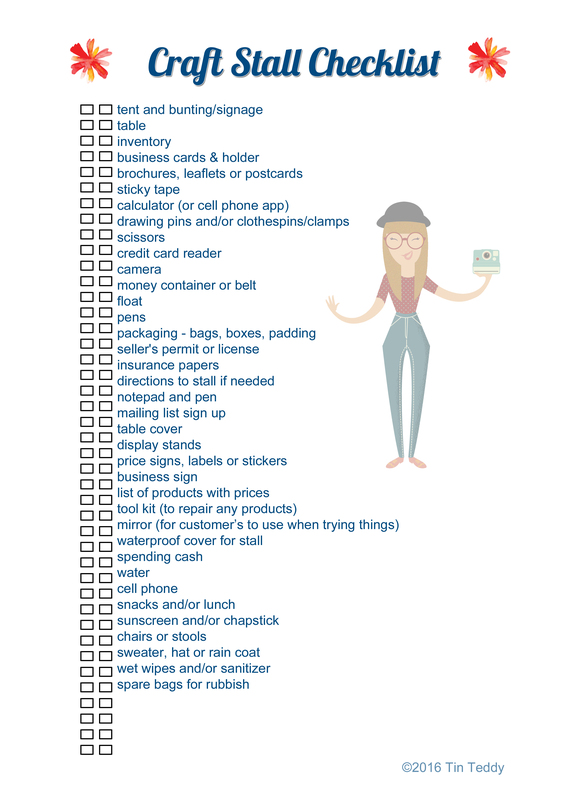 So today’s blog post is a handy craft stall checklist to download. Just click the image below, or this link – Tin Teddy Craft Stall Checklist – to download the full size checklist – it is sized to print on both standard A4 and US Letter sized papers. There are some blank lines at the end to add your own items. Just cross off anything that doesn’t apply to your business. I hope this helps you with your next craft selling event. You may enjoy my in-depth article, Preparing for a Craft Stall or Craft Show – you can also listen to this article as a podcast too.